For many, the winter comes with cold weather, snow and ice. The harsh weather conditions can really take a toll on the outside of trucks; therefore, it is essential that they are washed often throughout the winter season. Washing your truck in the winter time gets rid of the gunk, dirt and salt used on the roads. It is important to wash trucks as often as possible during the winter months because the salt, ice and snow can be extremely hard on the paint finish. An additional effect it can have on your vehicle is rust damage. Another reason it is important is if you don’t wash the snow and ice off trucks, there can be a large fine if a piece of snow or ice comes flying off and hits another vehicle or injures someone. Salt used on the roadways during the winter months can cause significant damage to the undercarriage of your vehicle and the body. In order to protect your vehicle, you should visit the car wash often. 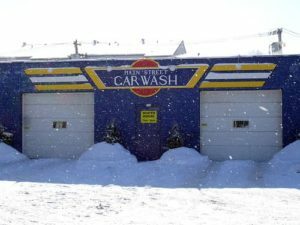 Some car washes even have steam cleaning and undercarriage cleaning which is very advantageous to those affected most by snow. If you don’t want to stand out in the freezing cold to wash your vehicle, you can check to see if there is a mobile automobile detailer. They are very convenient during the winter time and often do a wonderful job. If you like to wash your own vehicle, make sure to use a little amount of baking soda in your wash water to remove salt. When washing the truck, you should be certain that the wheels are completely clean, as well as underneath the truck because a buildup of salt can cause rust damage. Other areas that are prone to salt damage include behind the fenders and underneath the bumpers. It is beneficial to give your vehicle a thorough cleaning in the fall with a nice coat of wax because it helps protect the paint. The underside should be cleaned as well in the fall. It is clear that trucks need to be washed often during the winter for a number of reasons. Mainly to prevent any damage to other vehicles and to protect the truck from rust. Ensuring your truck is as clean as possible during the winter season will be very beneficial. It will help prevent damage from the harsh weather conditions. It is best not to underestimate the toll winter weather can take on your vehicle.